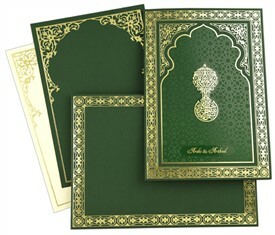 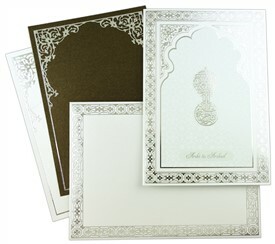 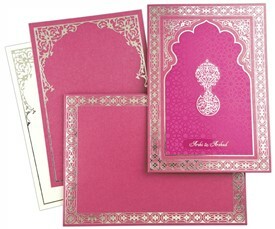 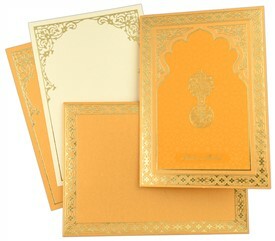 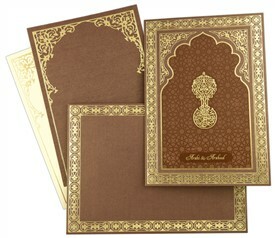 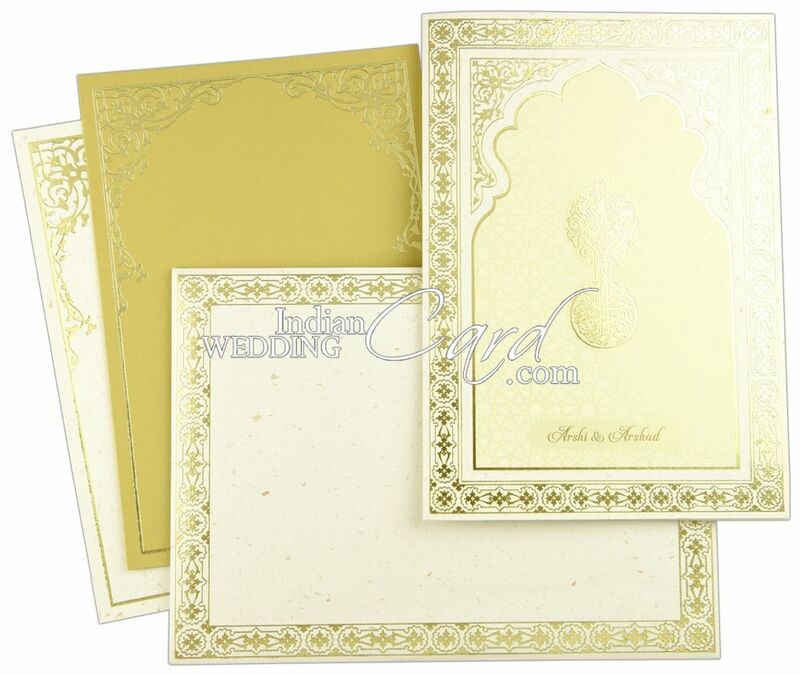 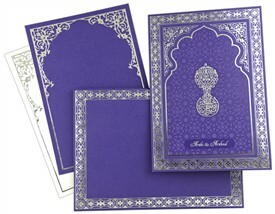 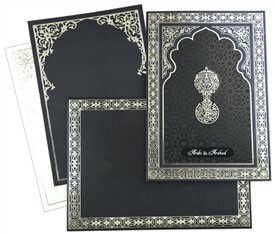 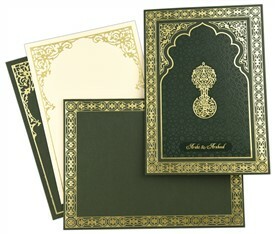 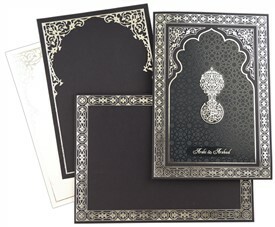 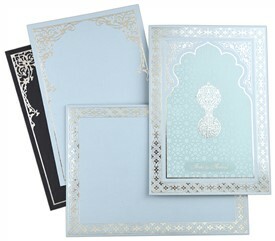 The card front is adorned with Arch shaped border in gold foil in arabesque motif and entwined modern watermark motifs. 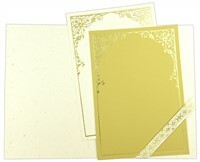 The envelope and inserts are also beautified with gold foil border. 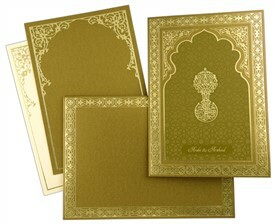 Gold foil “Bismillah- Ir Rehman Ir Rahim” symbol also adorns the main card. 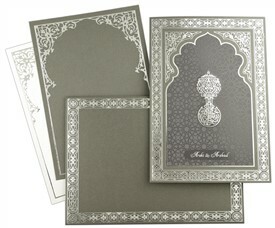 An exceptionally beautiful wedding invitation! 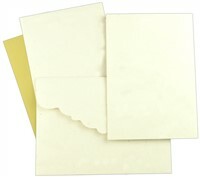 Off-white mottled paper (250 gsm) for main card, one insert and envelope. 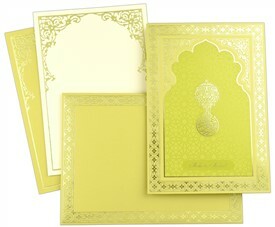 2nd insert in yellow plain paper (250 gsm).